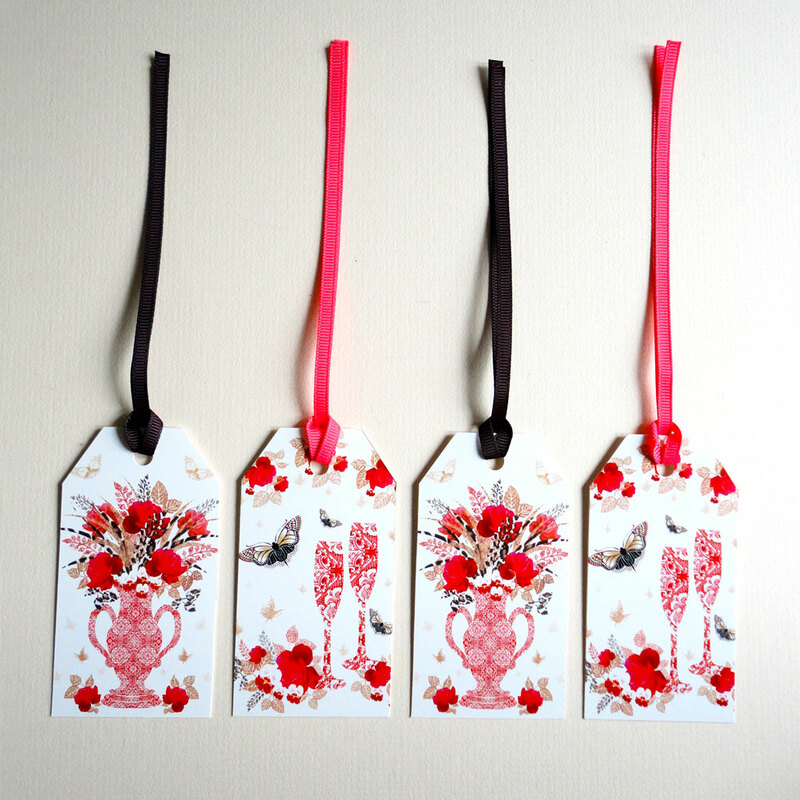 This Decorque Red Rose Display pack of four gift tags has a mixture of beautifully detailed butterflies and florals. Having two different scenic designs, you can add that special touch to any present for Birthdays or Celebrations. The Red Rose and Glasses has two red & white patterned Champagne flutes ready to celebrate, with clusters of red roses, pansies and beautiful butterflies in flight. Finished with a strawberry red grosgrain ribbon. This design is also on single cards and for sale in a duo pack. 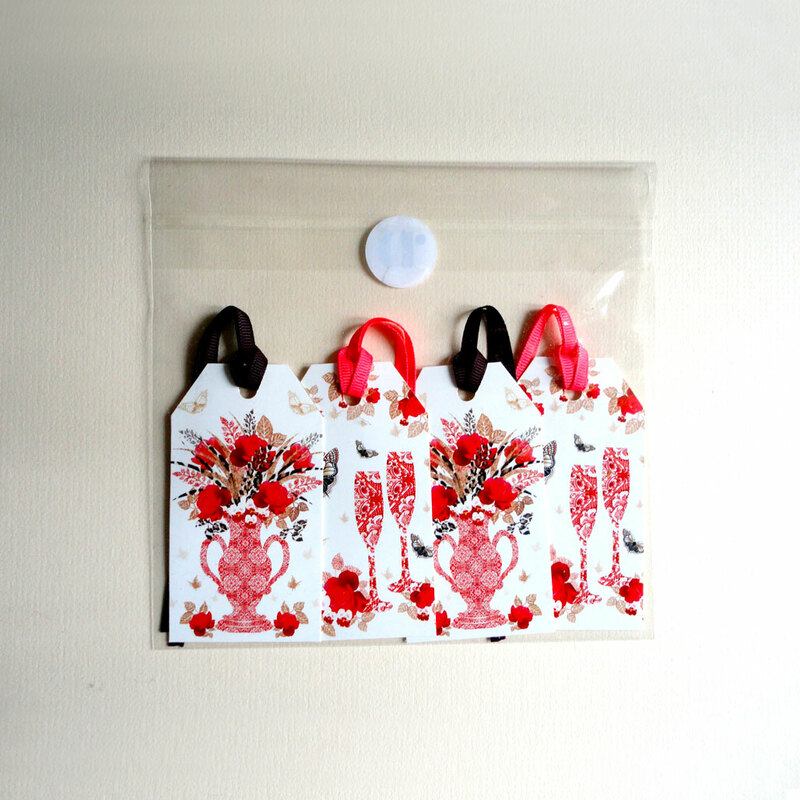 The Red Rose-Vase Display tags, showcase the beautifully red and white patterned vase. Detailed butterflies flutter encircling a floral explosion of roses and pansies, intermixed with skin-print and cork textured leaves. Finished with a dark aubergine grosgrain ribbon. 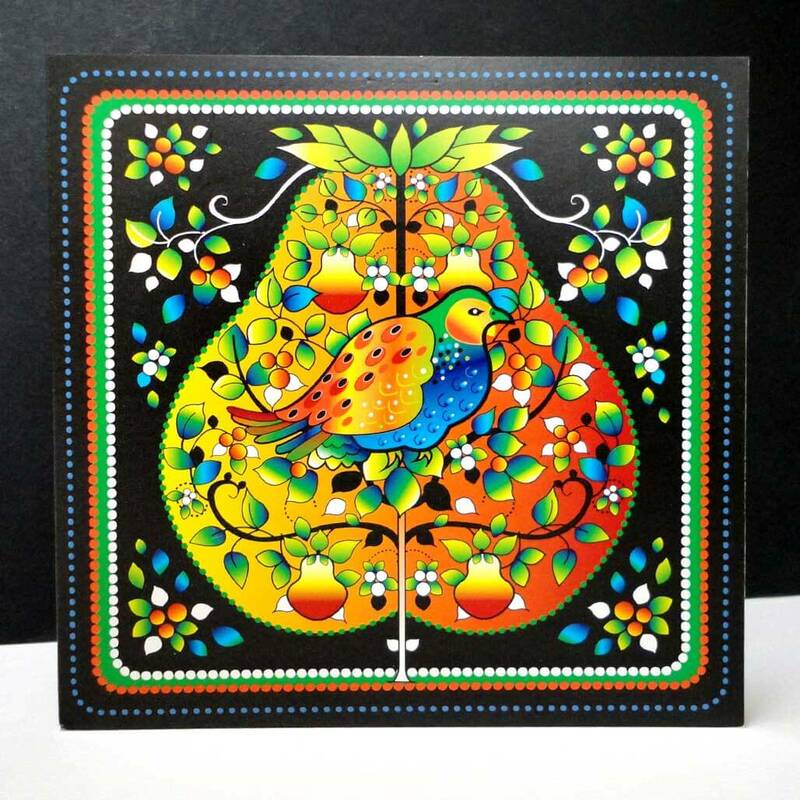 This design card also be found on a single card, duo pack, A4 art print, cushions and a lampshade. 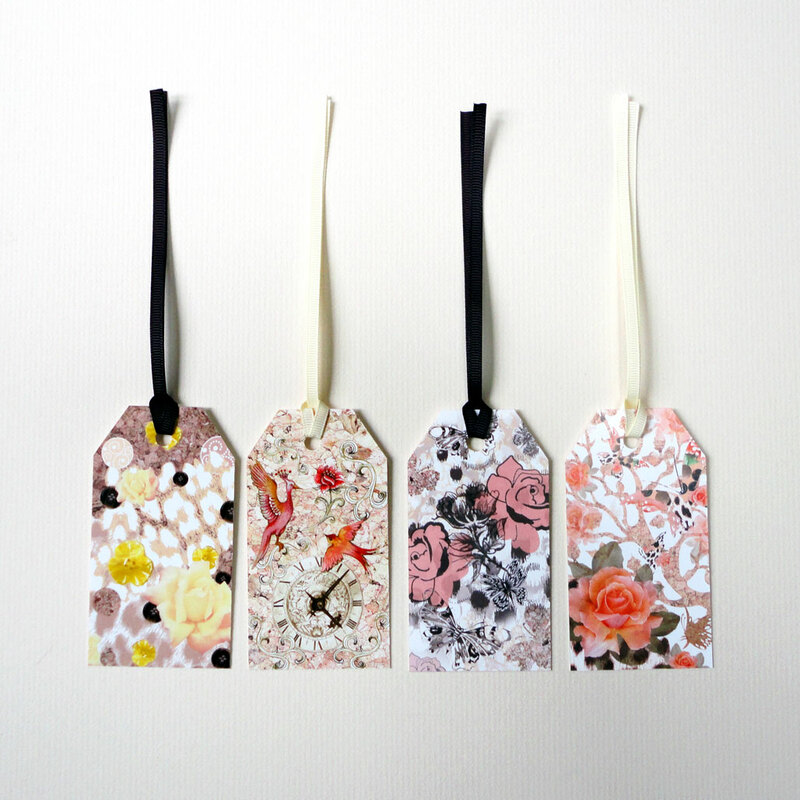 Pack of four gift tags consisting of two of each design. 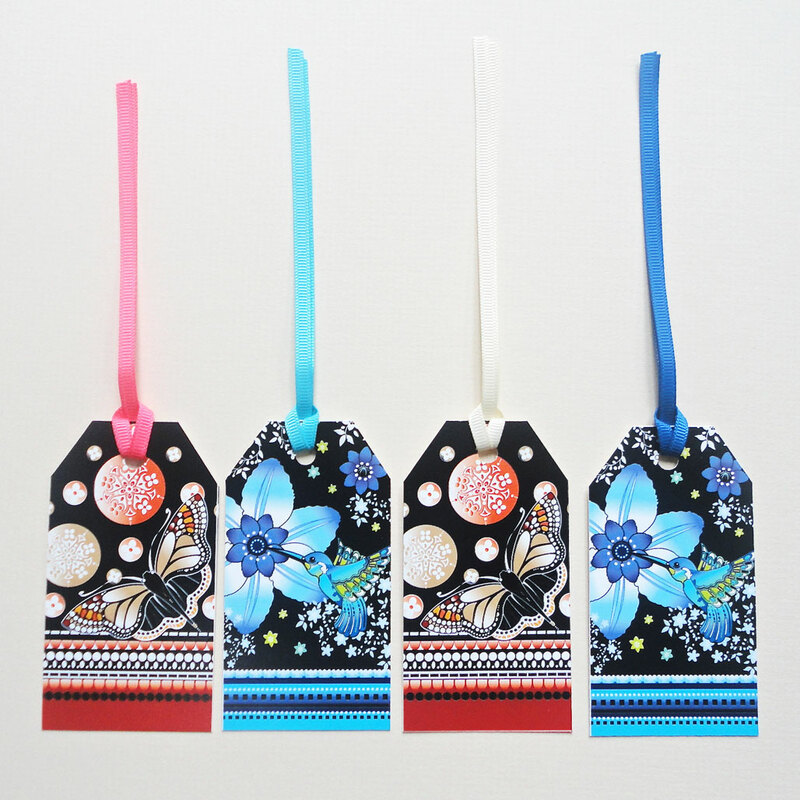 Size 55mm x 100mm per tag. 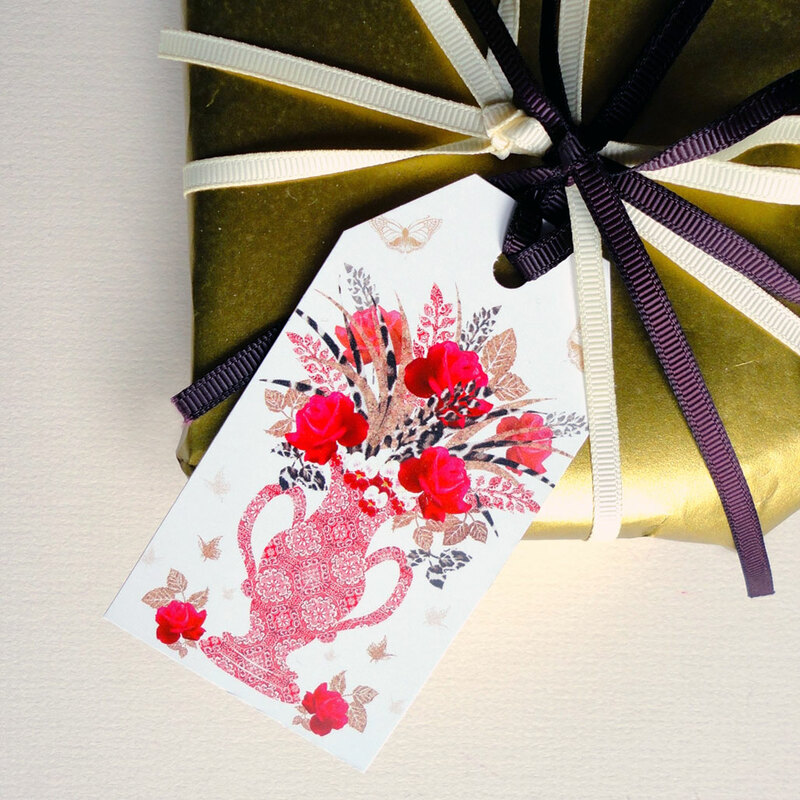 With grosgrain ribbons. 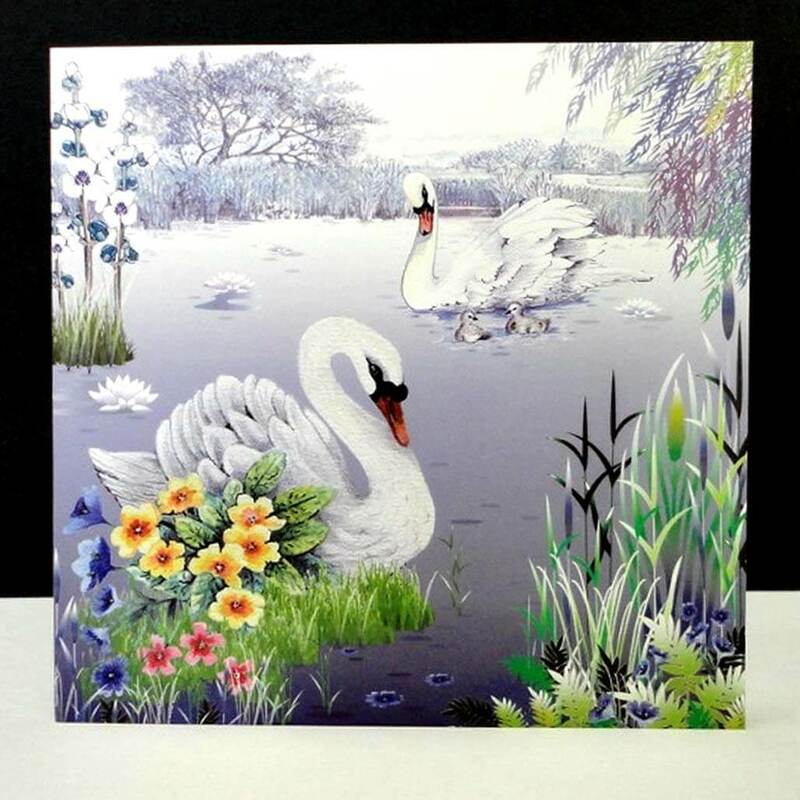 Printed on 290gsm quality greetings card material with a premium satin finish.